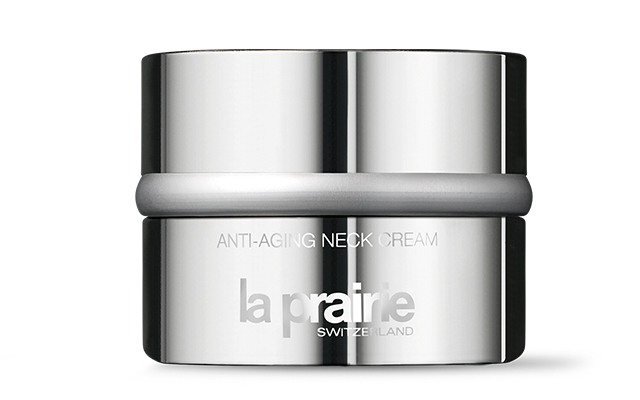 Whether you're applying moisturizer, serum, or sunscreen, the same skin commandment applies: Never forget your neck. Your décolleté needs some TLC, too, especially once you hit your late 20s and gravity starts taking its toll. That said, using the same gel- or water-based face moisturizer on your neck might not be enough. The wrinkles, sagging, and dehydration that eventually develop in that area overtime deserve a more potent treatment that goes beyond hydration, hence the existence of anti-aging products for the décolletage. 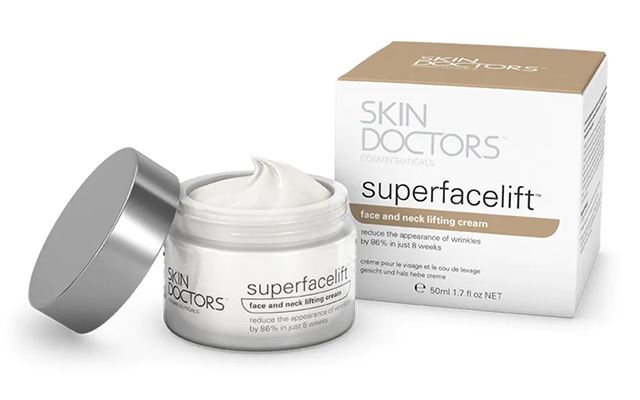 The Superfacelift targets wrinkles on the face and neck with encapsulated retinol and lactic acid to reveal smoother skin. It claims to reduce the appearance of forehead wrinkles by 86 percent after a month, so imagine how much firming you'll receive by working it down your neck. 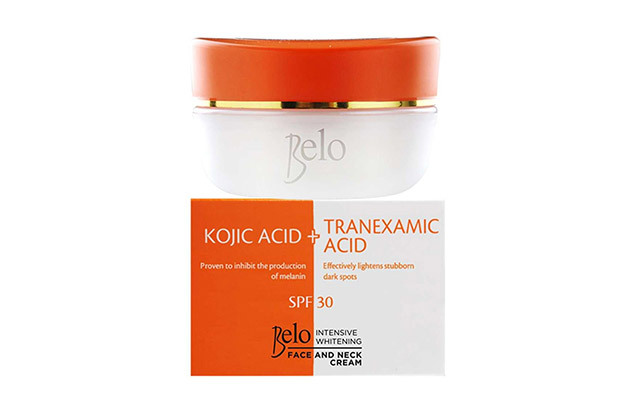 For those battling with uneven skin tone, this cream has a combination of kojic acid and tranexamic acid that helps brighten scars and spots. It has SPF 30, too, which helps protect your décollatage from the sun. 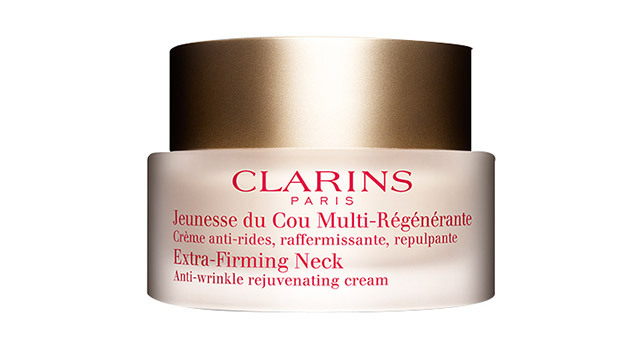 This cream plumps and lifts sagging skin with the help Clarins' signature Extra-Firming Complex and oat sugars, visibly reducing the appearance of fine lines. 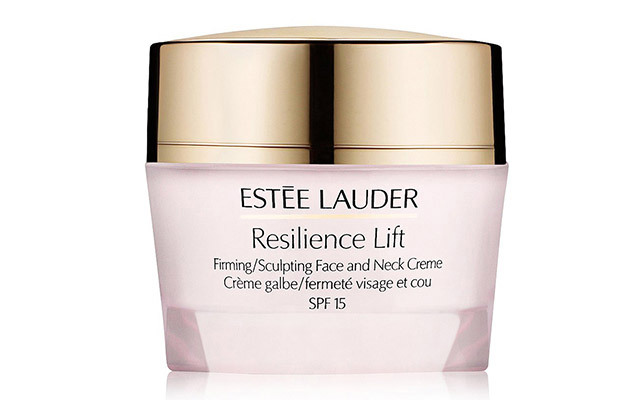 It's infused with anti-pollution properties as well, perfect for protecting your décolleté in a neck-baring top. 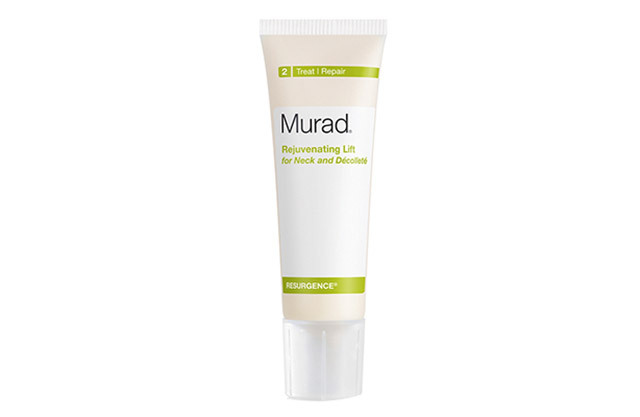 Murad's patented lifting formula claims to reduce texture in the neck area after a month's use. It uses a combination of glycolic acid, vitamin C, and retinyl palmitate to effectively speed up skin turnover. 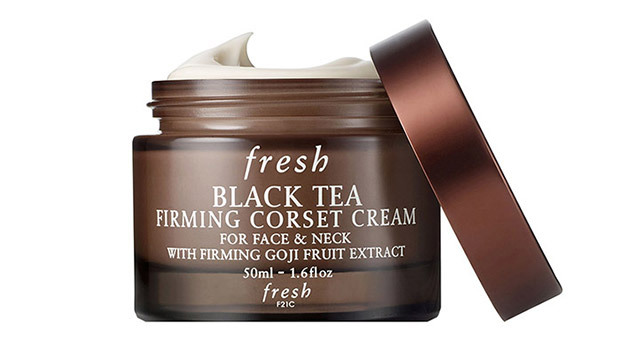 This cream quite literally acts like a corset for your face and neck, infused with a black tea complex that improves elasticity overtime and goji fruit extract and peptides to re-firm depressed and textured skin. A dehydrated neckline causes dull-looking skin, but that's not a problem this hydrating, radiance-boosting formula can't help with. This cream has Tri-Peptide Lift Complex, which claims to help rebuild collagen in the skin and have it look more youthful after each use. 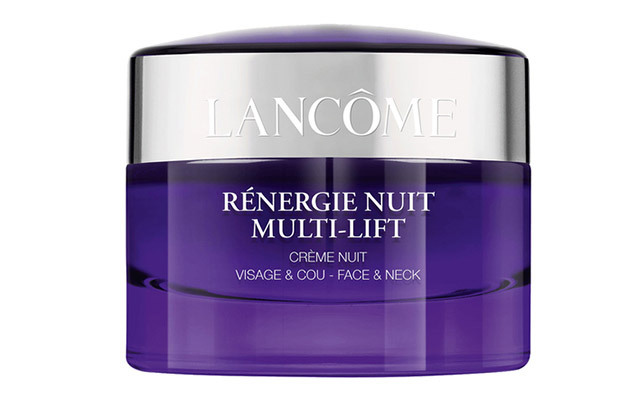 This night cream aids skin repair while you get your beauty sleep, containing exclusive anti-aging technology from Lancôme (where yeast and rye seed are major components) that reduces the appearance of wrinkles and lifts the original contours of your face and neck. Pair it with the Rénergie Day Cream for firming round the clock! 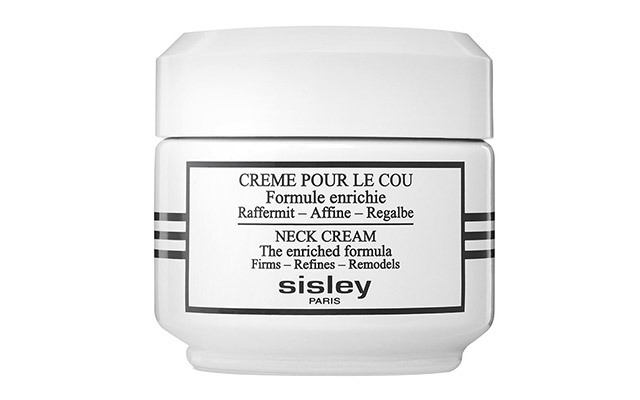 Sisley revamped their original neck cream to create this formula that provides an almost immediate "lifting" sensation (thanks to oat seed extracts) and intensive firming from soy fiber to effectively diminish fine lines and droopy skin. For a non-surgical alternative to restore your décolleté's firmness, massage this luxurious anti-aging blend of oils and actives from the bust line up to your jaw to target fine lines, sagging, dry skin, and age spots. 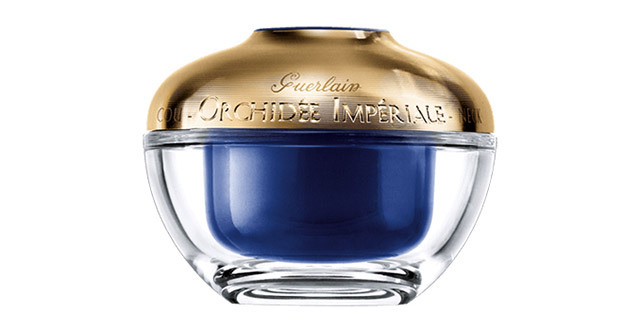 This sculpting formula uses Guerlain's Gold Orchid Technology to tone and tighten the complexion on the neck and chest while calming your senses with a whiff of orchid, rose, musk, and cedar wood.